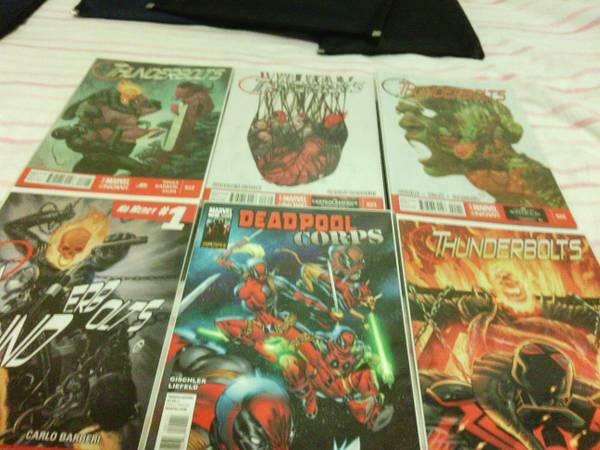 Selling(SET 4) Comic Books of: Deadpool Corps #1,Thunderbolts#20 to #32 and Signed Spiderman card.Selling All together for $20. Email,or Tex me back if Interested. For Local Pick up only.